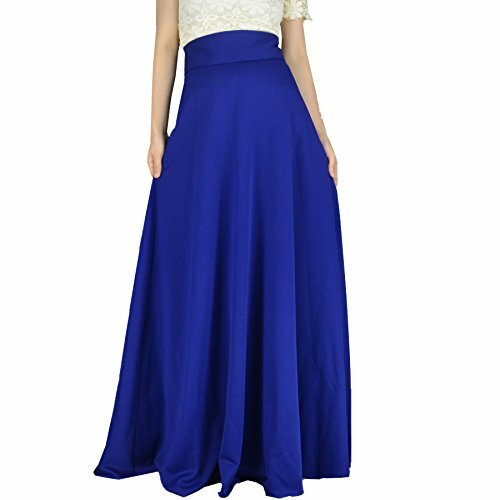 This YSJERA womens A-Line Pleated Maxi/ Midi Skirt are made by high quality cotton and polyster. All-match solid colour,fluffy cutting design, vintage and fashion swing umbrella skirt. Perfect for every day and formal wear. -According to the light and different computer monitor, the color may be slightly different aspictures. Besides, please allow 1-2cm measurement differ due to manual making. Your understanding and support are highly appreciated. -As we are Chinese seller, all the items in our store are in Asia size, Asia size usually runs a little smaller then the same size in western size, hope you could kindly note this! -In order to make sure our item could fit you well, we have wrote the measurement details in our description, before you buy our items, please go to have a look and decide which size could fit you well, thank you! If you have any questions about this product by YSJERA, contact us by completing and submitting the form below. If you are looking for a specif part number, please include it with your message.